Today is the 70th Anniversary of the Japanese bombed Pearl harbor. On December 7, 1941 that attack brought the U.S. In World War II. 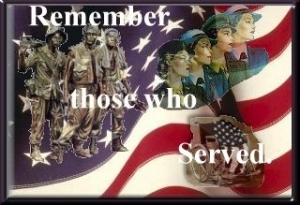 The Greatest Generation's strength and valor shall not be forgotten nor all those who have sacrificed for our freedoms. We honor those who lost their lives or were injured on December 7, 1941 as well as all those who fought bravely in order to protect our freedoms and lives. We enjoy our liberties today because of those brave members of the armed forces. They put our country before their own lives. May we never forget that our freedoms are not free and are paid for by the blood and sweat of service men and women who have selflessly put their lives in harms way in defending our freedoms, the very freedoms we enjoy today. Take the time to reflect on the sacrifices of our servicemen and women in the military and our veterans. Take time, and tell them thank you for all they have done in service to our country and in protecting our rights and freedoms.